in order to save those who were lost. where I hide myself from you and from my fellow man. let me know it, let me follow it. 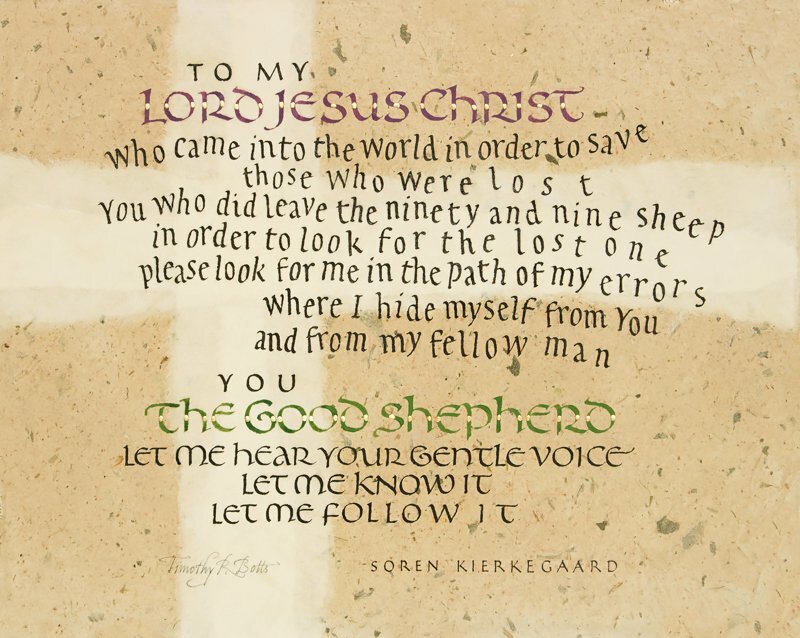 The main theme of the Danish philosopher Soren Kierkegaard's work was the challenge of living a meaningful Christian life. 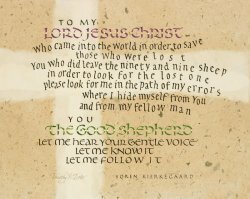 Much of his work focused on Christian ethics and those themes are wonderfully reflected in the words of his hopeful prayer "The Good Shepherd."